2. International Standard: AS 2027-2002/Ni hard 1. 1. The Ni-hard End liners are used for grinding feldspar. 2. Hardness: More than HRC53. 4. Microstructure: Eutectic Carbide + Martensite + Residual Austenite. 5. Heat treatment : Air quenching and tempering. 6. 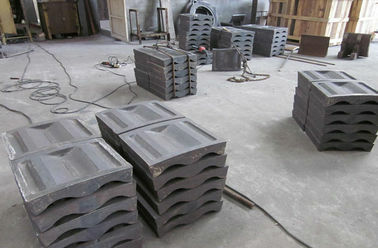 The liners are cleaned, sandblasted with a nice surface without any obvious visual defects. 7. Better wear performance & better reliability & cost effective in dry grinding process. 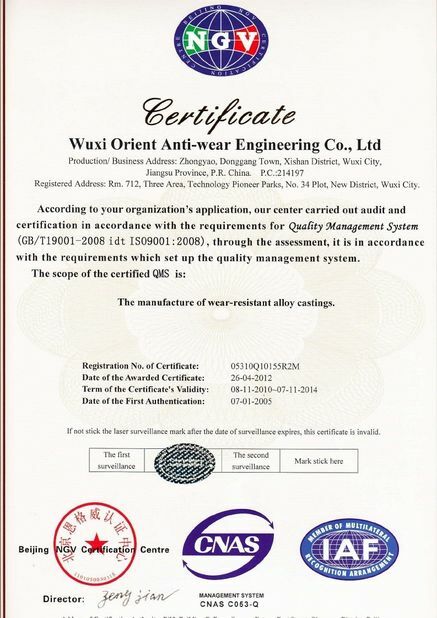 Wuxi Orient Anti-wear Engineering Co., Ltd.